Motorsport is what drives us. With the conviction of being able to win, Hans Werner Aufrecht and Erhard Melcher laid the foundation for AMG back in 1967. Their boundless passion for motorsport paved the way for legendary achievements and has had its mark on the spirit of our brand to the present day. After over five decades without a proper works involvement, Mercedes-Benz made its Formula 1 comeback in 2010. 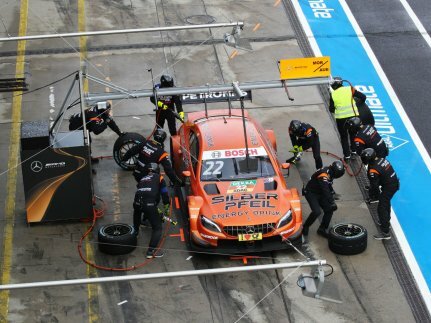 In the 2012 season, AMG became involved in the programme and the team is currently competing as Mercedes-AMG Petronas Motorsport as a result. Michael Schumacher and Nico Rosberg were the first drivers to race for the team in its new formation. The third round of the 2012 season saw the breakthrough: Nico Rosberg’s commanding win in the China Grand Prix marked the first victory for a works Mercedes since 1955. Following Michael Schumacher’s retirement, Lewis Hamilton joined the team in 2013 and clinched the world championship crown in the following year. Team-mate Nico Rosberg became runner-up. With three races to spare, Mercedes-AMG Petronas Motorsport had already sealed the FIA Formula 1 constructors’ world championship title. The 2015 season saw the team do even better: with twelve 1-2 finishes from 19 races, the team topped its own record from the previous year. Once again, Lewis Hamilton won the drivers’ world championship while the team successfully defended the constructors’ title. Yet another improvement was achieved in 2016: Mercedes-AMG Petronas Motorsport racked up 765 points and scored a total of 19 race wins and 20 pole positions from 21 rounds, Formula 1 records that resulted into another constructors’ title. Nico Rosberg became the world champion and became the third Silver Arrow champion in Formula 1 history after Fangio and Hamilton. The 2017 season came along with some changes. 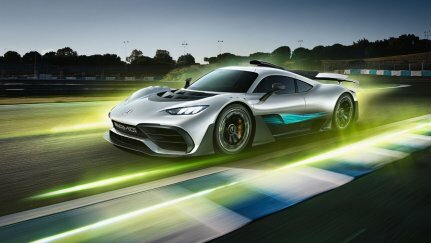 For the first time, the team entered a car carrying the EQ Power+ designation, putting the Formula 1 car in line with future Mercedes-AMG hybrid performance cars. There was a change in the driver line-up, too: following Nico Rosberg’s retirement, Valterri Bottas became the new driver alongside Lewis Hamilton for 2017. Moreover, there were massive changes in the regulations. In spite of all the changes, Mercedes-AMG Petronas Motorsport remained successful as it became the first team in Formula 1 history to defend the world championship titles in spite of a major rule change. 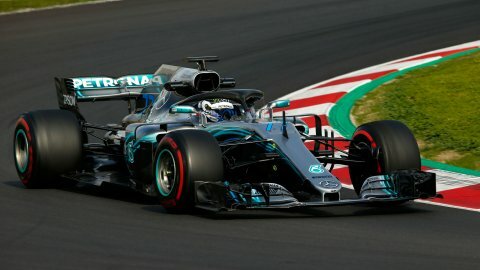 With third place in the final standings for Bottas and the repeated title win by Hamilton, the Mission #4TheTeam, the fourth consecutive win of both Formula 1 world championship titles, was accomplished. In 2018, Lewis Hamilton and Valtteri Bottas raced the Mercedes-AMG F1 W09 EQ Power+. At the end of the season, the fifth consecutive drivers’ and constructors’ world championship title were secured – a record scored only once before in Formula 1 history. At the same time, Lewis Hamilton’s fifth drivers’ title saw him being promoted into a highly exclusive club: after Juan Manuel Fangio and Michael Schumacher, Lewis is the third driver to claim five Formula 1 drivers’ titles or more. Following wide-ranging changes in the technical regulations for the 2019 season, Hamilton and Bottas are racing a car that is an entirely new construction this year. 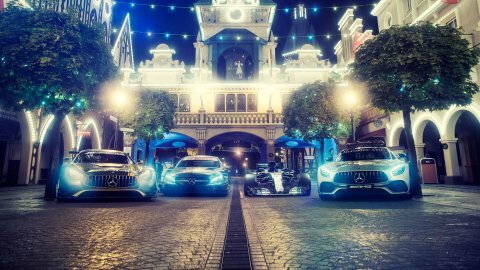 With the Mercedes-AMG F1 W10 EQ Power+, the team wants to go down in Formula 1 history as the first outfit to claim six consecutive double titles. 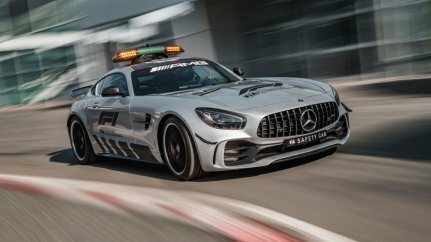 For over two decades, the performance brand from Affalterbach has been playing a leading role in the pinnacle of motorsport: since 1996, Mercedes-AMG has been supplying the official Formula 1 Safety Cars and is providing additional safety with its medical cars. 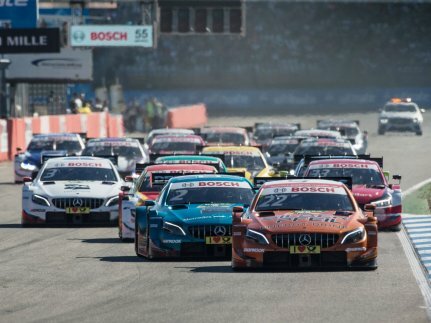 With a triple title win, the unparalleled DTM era of Mercedes-AMG Motorsport came to an end in October 2018. A total of eleven drivers’ titles, 14 teams’ and seven manufacturers’ titles add up to an outstanding record of success. Back in 1986 already, the three-pointed star caught the attention in the DTM. The first achievements with the Mercedes-Benz 190 E 2.3-16 to Group A regulations led to a motorsport co-operation between AMG and Mercedes-Benz and the official participation of Mercedes-Benz as a factory team in the Deutsche Tourenwagen Meisterschaft. The first joint car was the AMG-Mercedes 190 E 2.5-16 Evolution II that scored numerous race wins. Klaus Ludwig secured the maiden DTM championship title with an AMG Mercedes in the 1992 season. Three years later, it was Bernd Schneider’s star that started to shine: the current Mercedes-AMG brand ambassador drove the competition touring car based on the C-Class (model range 202) to win the DTM/ITC (International Touring car Championship) titles. 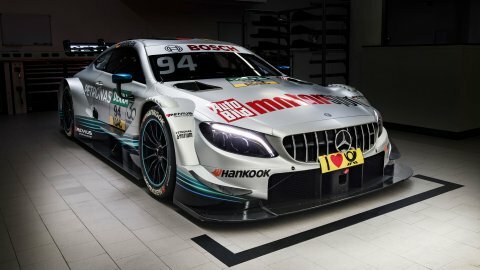 In the following years, his record of success would increase to five DTM titles and 43 race wins, a record that will probably remain unbeaten for a long time to come. With the successor model ranges of the C-Class and the CLK, numerous race wins and titles were scored in the DTM as well. In 2015, Pascal Wehrlein became the youngest DTM champion in history one day before his 21st birthday and thus also contributed to the teams’ title (gooix/Original-Teile Mercedes-AMG). 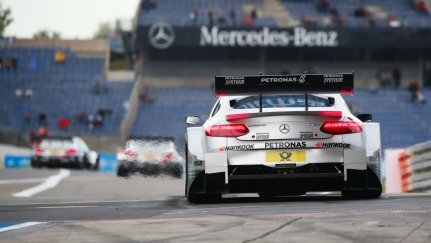 In the farewell season 2018, the Mercedes-AMG C63 DTM run by HWA again scored a firework of success: 20 races resulted into nine wins and 14 pole positions for Mercedes-AMG Motorsport. The manufacturers’ crown could already be sealed on the penultimate race weekend. In the brand’s 436th and final DTM race, Gary Paffett secured his second drivers’ title after 2005. 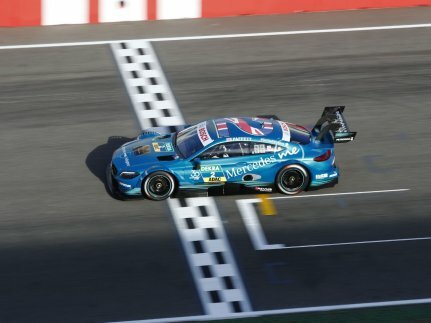 The teams’ championship went to Stuttgart and Affalterbach, too: Mercedes-AMG Motorsport PETRONAS (363 points) ended up ahead of Mercedes-AMG Motorsport REMUS (P2, 294 points). A deserved crown to conclude an outstanding era of 30 years! Since 2010, customer racing has also been significantly contributing to Mercedes-AMG Motorsport’s on-track achievements all over the world. Under the banner of ‘Mercedes-AMG Motorsport Customer Racing’, we share our passion for motorsport with our Customer Racing Teams and we support them with technology and know-how. This era started with the SLS AMG GT3. In 2011, its first full season already, the competition gullwing caused excitement all over the world and became the best newcomer in motorsport. 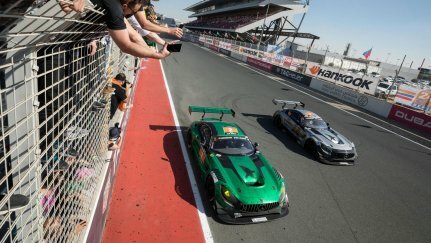 In 2013, victories in the races at Dubai, Bathurst, the Nürburgring and Spa-Francorchamps added up to the ‘Grand Slam’ of classic GT3 endurance races. In that year, the SLS AMG GT3 also ended up on the top step of the winners’ podium in the 24-hour race at Barcelona. In the 2016 season, the Mercedes-AMG GT3 started off a new chapter in the Customer Racing programme. It didn’t take long for success to arrive: in the Nürburgring 24-hour race, the Mercedes-AMG GT3 locked out the first four places and sixth position. 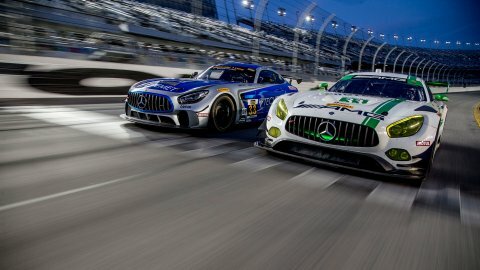 This historic quadruple victory is the biggest success for Mercedes-AMG Customer Racing to date. 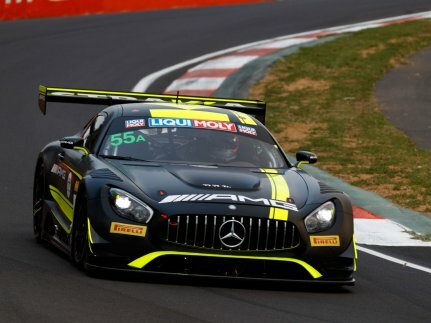 In 2017, the success story continued with championship titles in major international GT3 series and an impressive victory in the FIA GT World Cup in Macau. 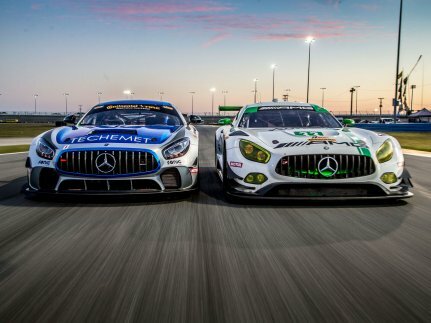 Moreover, the programme expanded in the USA: in the debut season of the Mercedes-AMG GT3 in the North-American IMSA WeatherTech SportsCar Championship, there was a triple title win for drivers, teams and manufacturers in the demanding Tequila Patrón North American Endurance Cup. Starting in 2018, the Mercedes-AMG GT4 is expanding the Customer Racing portfolio from Affalterbach. Its production-based concept is derived from the Mercedes-AMG GT R (combined fuel consumption: 11.4 l/100 km | combined CO2 emission: 259 g/km | emission information ) and combines proven racing technology with the highest level of safety and value for money. For the 2018 GT3 racing season, an additional focus is put on the Intercontinental GT Challenge, the only global endurance racing series for GT cars. Behind the teams' sporting success, a comprehensive programme has been put in place that, just like the cars, is subject to continuous development. The guiding principle is the quick and professional support for the teams with the aim of contributing to the biggest possible joint success by means of technology, know-how and manpower. Since 2018, the Mercedes-AMG GT4 has been expanding the Customer Racing portfolio from Affalterbach. 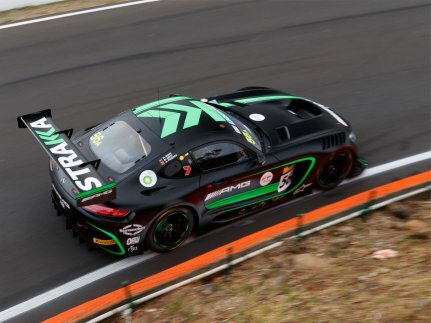 In its debut season, the new race car, alongside with the Mercedes-AMG GT3 and the still competitive SLS AMG GT3, contributed to make 2018 the most successful season since the beginning of the Customer Racing programme: 385 races resulted into 366 podium finishes and 137 wins. The 160 Customer Racing teams from 29 countries secured an unbelievable 57 teams’ or drivers’ titles and endurance championship wins. The most prestigious successes of 2018 include the overall win in the Blancpain GT Series as well as the drivers’ titles in both categories of the Intercontinental GT Challenge. Mercedes-AMG Project ONE show car.